Do you believe in good customer service? Are you willing to work retail hours? Cashier is an entry level job. It’s your stepping stone to bigger and greater things. 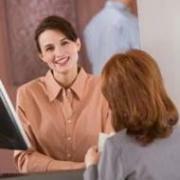 A Cashier is a person who ‘ring’s up the customer’s purchases on a till, receives payment and issues a receipt. Cashiers accept various methods of payment like cash, cheques, credit cards etc. They are in charge of quality standards and that the clothes are manufactured to the right price, specifications and on time. They are in charge of quality standards and that the clothes are manufactured to the right price, specifications and on time. If you like working and helping people and have a passion for business, then maybe becoming a Customer Service Manager is the right career path for you! Customer Service Managers may also be known as Customer Care Agents, Customer Relations Managers or Corporate Service Managers. Do you enjoy the world of fashion? 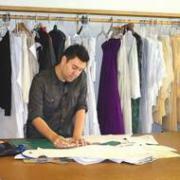 Does choosing the fashion that will be sold in our retail stores appeal to you? If you have answered yes, why not study fashion and become a Fashion Buyer? Traditionally, a Help Desk Operator works as a member of the company’s technical support team, providing technical assistance to computer users over the phone or via instant messaging or email. A Hawker or Informal Trader generally sells goods on the street or at a market. 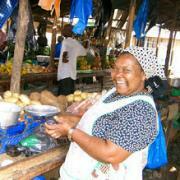 They may sell foods like fresh vegetables, or hot food like vetkoek and mince. They sell clothes and handbags, cooldrinks and cigarettes, curios and cell phone chargers. Actually, a Hawker or Informal Trader can sell almost anything to anybody to make a living. Logistics is the detailed co-ordination of a large and complex operation. Logistics Buyers are responsible for developing and implementing buying plans for selected products from suppliers for the company they work for. Do you like shopping? Do you like going to malls? Are you always looking at new trends in fashion and food? 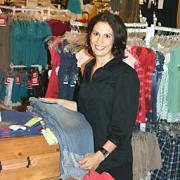 If you are and you’re good with people – maybe becoming a Personal Shopper is just the career path you’re looking for! Do you like being in charge? Do you like taking on responsibilty? Are you organised? 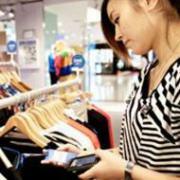 Maybe becoming a Retail Buyer is just the job you’re looking for. A Retail Buyer is responsible for planning, sourcing, co-ordinating and selecting a range or ranges of products that would sell in the store, or in a specific department of a very large store. A Retail Manager is responsible for the day-to-day management of a store or a specific department in a large chain store. 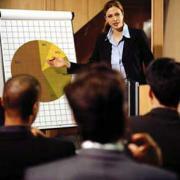 A career in sales can be interesting and challenging. It can also have great rewards for people who are ambitious and those who work on a commission basis. 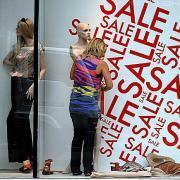 Many people under-estimate the importance of a good Retail Sales Person. Becoming a Shelf Packer is one way of starting a career in retail. A good Shelf Packer, with in-house training, may end up being a Store Manager. A Shelf Packer makes sure that shelves are constantly stocked with product, that product is neat and tidy on the shelves and that expired goods are removed. Also known as a Sales Assistant or Sales Person. 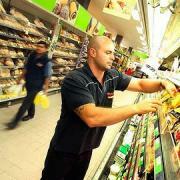 A Shop Assistant is responsible for making sure customers are looked after. They ‘serve’ customers and make sure the customer gets what they want. 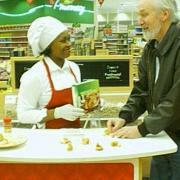 The Store Demonstrator demonstrates and explains the uses and advantages of products, such as cosmetics, wine or food, to encourage people to buy them. A Visual Merchandiser’s job is to create and stage store displays. They’re responsible for the displays in the store as well as in the windows. That’s why, Visual Merchandisers used to be known as Window Dressers. So if you’re passionate about design and good with colour – then becoming a Visual Merchandiser may just be the perfect job for you. The new name for a Window Dresser is Visual Merchandiser.